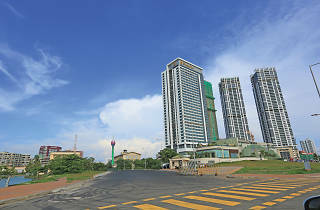 The island’s metropolitan city, Colombo’s face is changing dramatically, enhancing the cosmopolitan beauty. 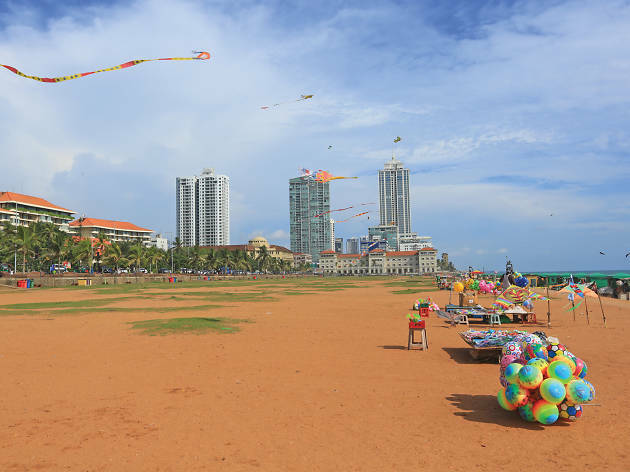 Colombo, offers many experiences, and one of the city’s hotspots for recreation is the Galle Face Green. 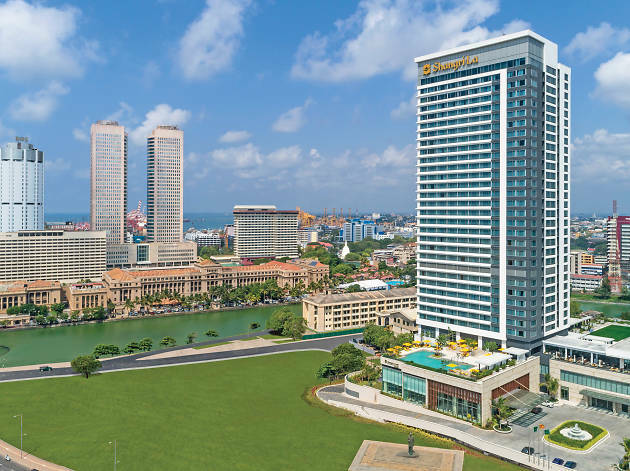 Overlooking the western shoreline of Sri Lanka, it stretches from the historic Galle Face Hotel to the stately Old Parliament building. Strolling along the promenade, built by the colonial British, one can immerse in the cosmopolitan beauty while also witnessing the changing skyline. See the transformation of the landscape, where amidst coloni- al buildings are towering structures echoing a modern design. Once the skyline was dominated by colonnades, ornate gables and stately tones, while today gleaming facades with iconic geometric shapes are emerging. Yet, the landscape is still in motion, the skyline continuously changing. 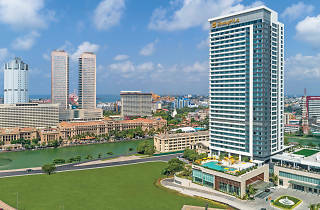 It is no wonder then that most of Colombo’s star hotels overlook this idyllic stretch. Whether you are walking along the Green or promenade, no matter the time of day, there will be something happening, amidst the soothing sea breeze. 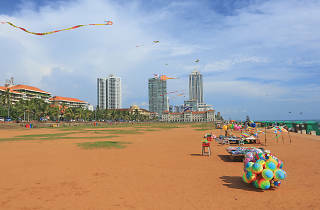 Yet, the evenings are the ideal time to experience the true character of the Galle Face Green. Strolling along the stretch, stop by the vendors to pick up a bag or plate of the island’s favourite street food, from isso wadey to manioc chips or a paper cone filled with boiled chickpeas. unique character. Passersby will surely be intrigued by the emerging struc- tures, promising to add more glamour to the cityscape. 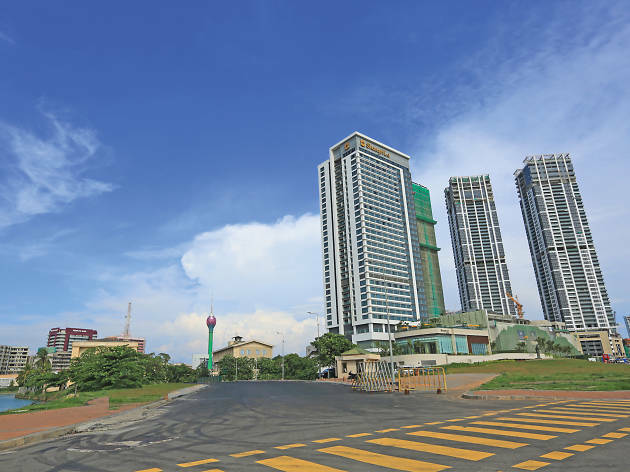 Looking beyond, there is promise for future transformation where the Colombo Port City with a marina will create a truly metro- politan atmosphere. The perfect location for romantic evening walks, Galle Face Green is also a hotspot for families and friends. Witness colourful kites soar high in the sky, cheerful children and youth holding on to kite strings. Peddlers walk bundled with colourful balloons, beach balls and bubble blowers. After you have seen the picture-perfect sun- set, shimmer over the waters, stay a while longer to enjoy an exciting din- ner at the make-shift eateries serving naan, crab and kottu. While you relish these flavours, be enthralled by the city skyline coming alive with gleam- ing, twinkling lights at night.